We cut long-term costs. As a staffing/temporary agency, we have the ability to payroll entire teams for the length that they are needed, rather than incurring costs for the long haul. With lean government budgets characterized by injections of funds for only a defined period of time, this presents an excellent option. We manage special projects, including economic and workforce development projects. We write grants, from visioning to the final draft. We excel at getting productive work out of volunteer teams. We provide hands-on small business development services, such as writing business plans and connecting businesses with resources. 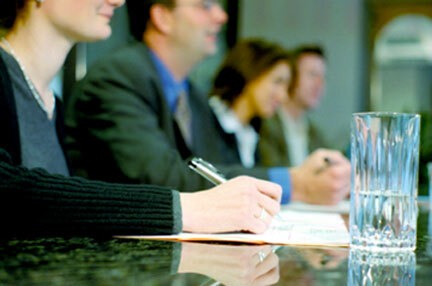 We provide compelling abilities in internship and other job training programs. We find traction in public/private partnerships and bring entrepreneurial energy and ingenuity to them. We reach out to the business community on behalf of government, and we assess the needs of businesses to inform the work of government. We work in collaborative efforts with local agencies: nonprofits, government, municipalities, education, and consulting firms in order to work within the economic development community to create jobs. We design projects to enhance existing programs for better expertise and efficiency by creating working partnerships between public and private business. We build relationships and have developed trust with many colleague businesses. We provide direct support to the businesses we serve throughout the county by directing economic development dollars where we know opportunity exists. We seek partnerships where program dollars funding job development and placement support long-term job development. We provide capability in economic development for small cities that do not have the resources for permanent full-time positions in the field. More and more, organizations that fund grants are asking government and nonprofit agencies to demonstrate collaboration with the private sector. We believe we will be able to provide several services and subcontract with opportunities of this nature. Current clients include Humboldt County Health and Human Services CalFresh program & the McLean Foundation. We hope to partner with government on job projects. With 35 years of relationships, no one is better equipped than Sequoia to bring programs forward to the business community. We provide a broad spectrum of services that are unique to Sequoia, and this new endeavor complements those services. Small companies and other smaller employers have responded very positively to our human resource management offerings–enough so, that we are moving this from the back burner to the front and will soon be developing specific offers. Providing service for those who do not have budgets to allow for professional HR departments or staff. Helping in organizational development, screening candidates, training, and serving as a sounding/research service for the human resource questions of many North Coast employers who aren’t big enough to have dedicated HR expertise. We will be providing these expanded services through a combination of contractors who have specialized HR niches, along with the expertise of the Sequoia staff. Tomas Chavez is seeking his professional human resources certification, and holds a bachelor’s degree in business from Humboldt State University. Kris Jason brings decades of experience in staffing, and also has been a division I basketball coach after he studied and coached under the legendary John Wooden.